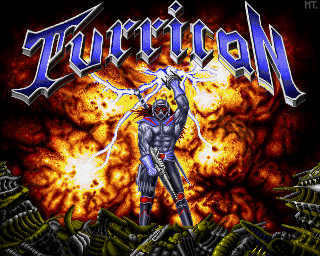 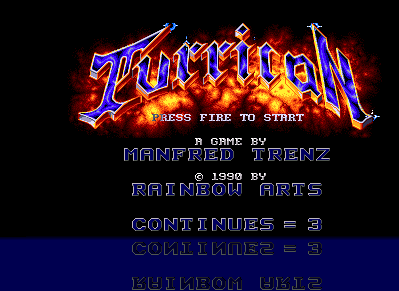 The Title Picture is inspired by a Manowar-CD-Cover. 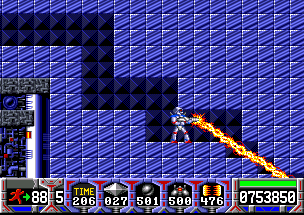 On the Package, there are some strange shots. 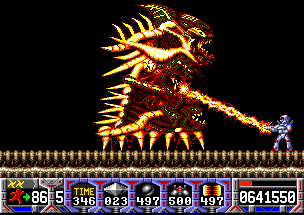 Look at this one, ist this maybe an early Version? 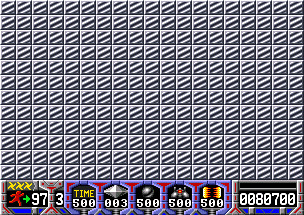 There even is a (deluxe-paint like) Mousepointer! 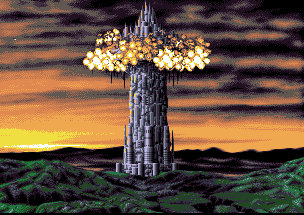 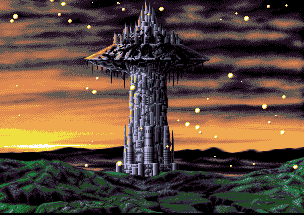 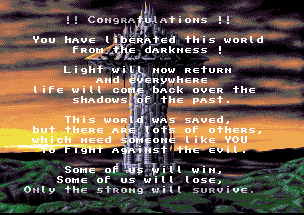 This one has changed, too, in the final game. 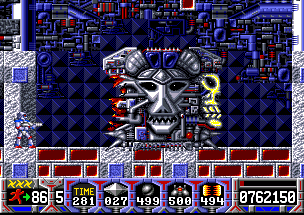 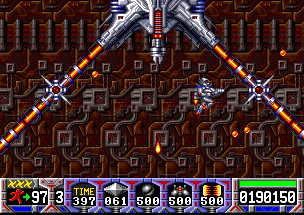 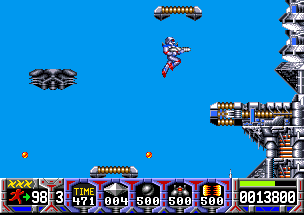 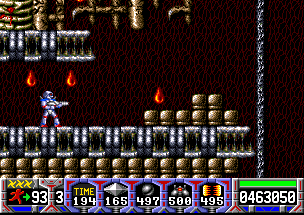 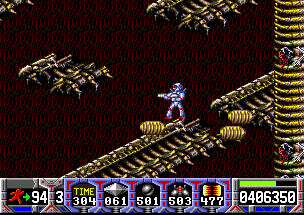 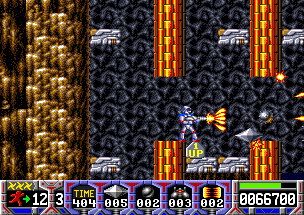 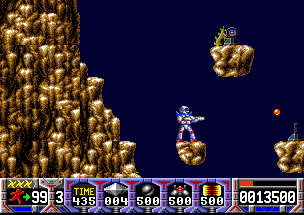 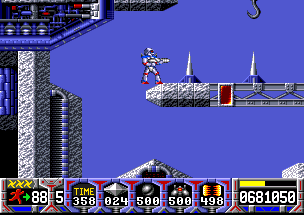 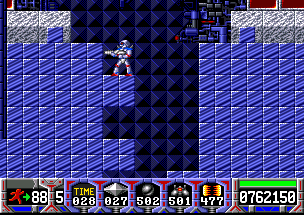 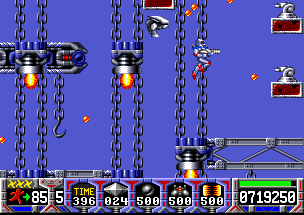 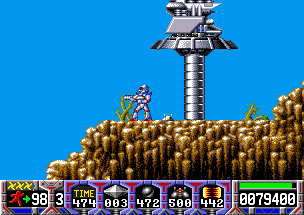 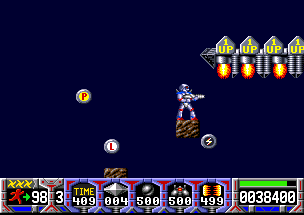 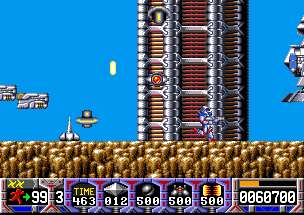 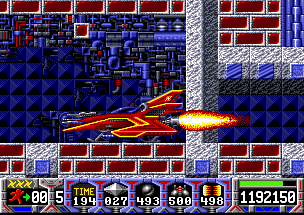 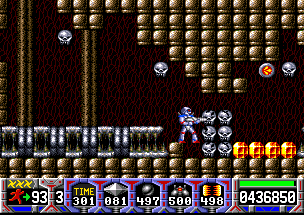 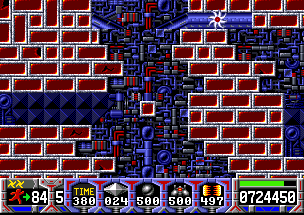 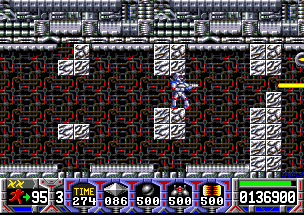 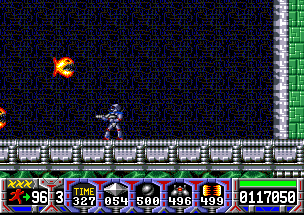 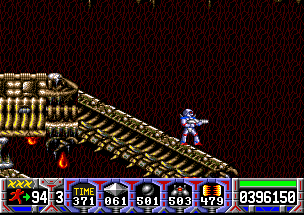 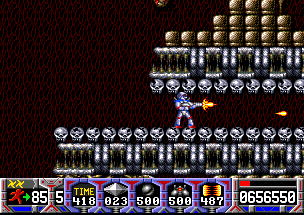 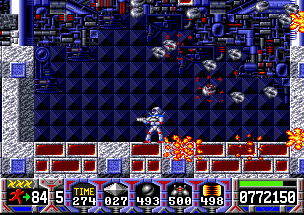 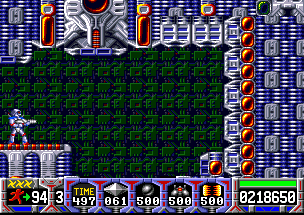 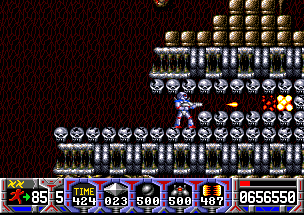 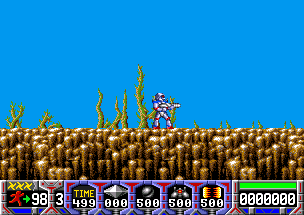 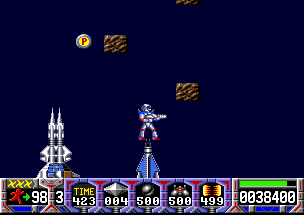 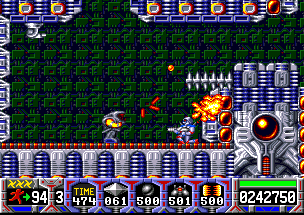 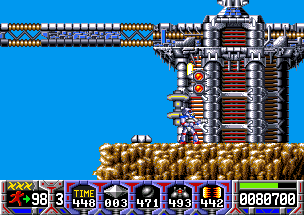 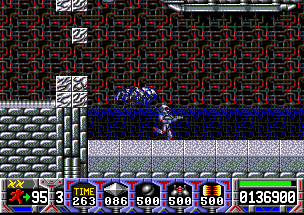 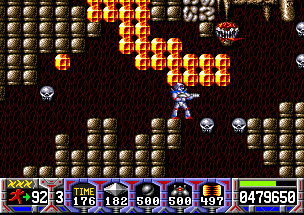 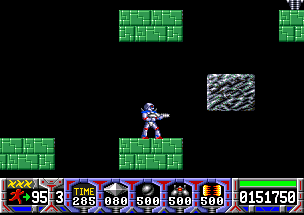 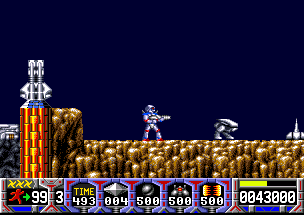 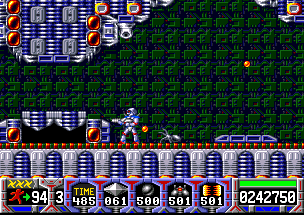 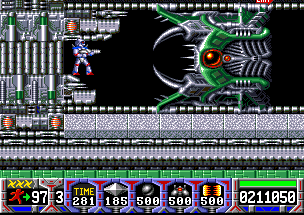 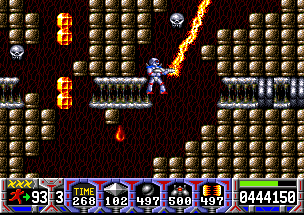 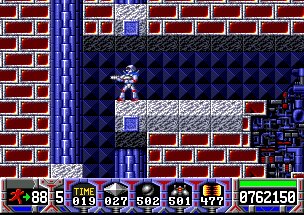 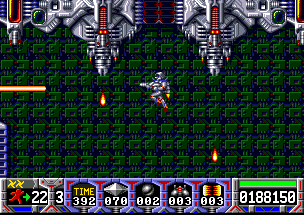 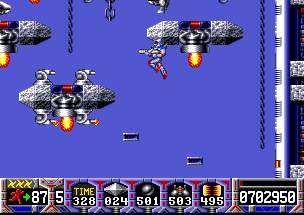 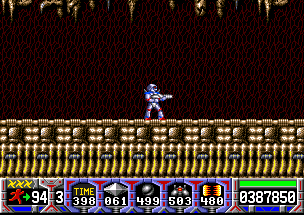 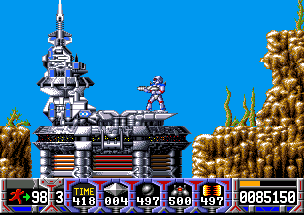 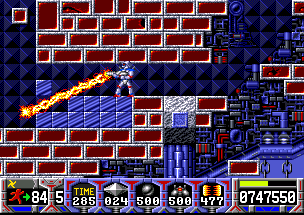 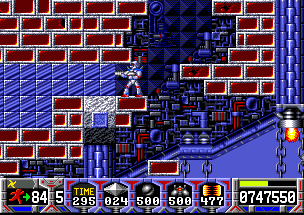 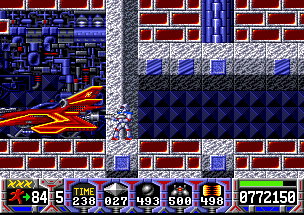 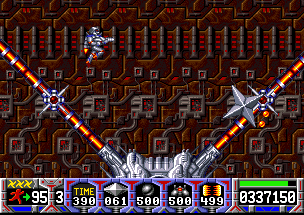 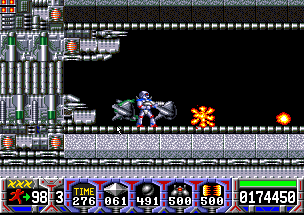 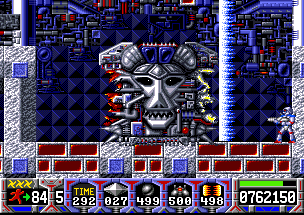 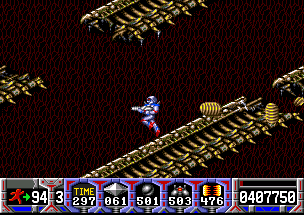 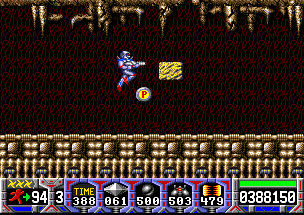 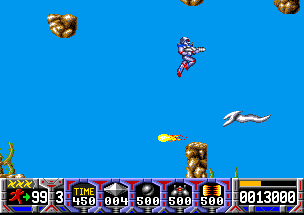 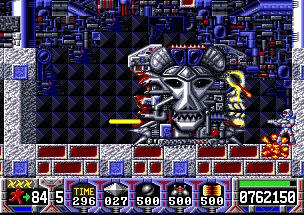 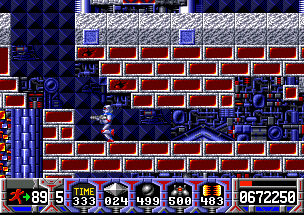 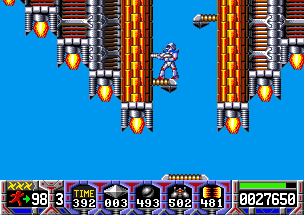 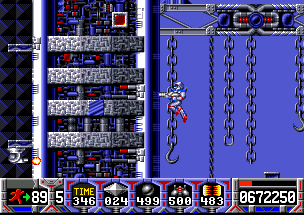 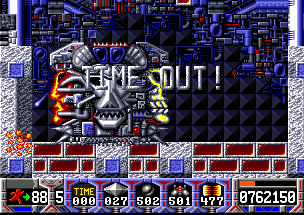 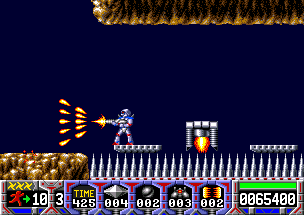 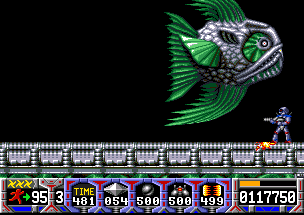 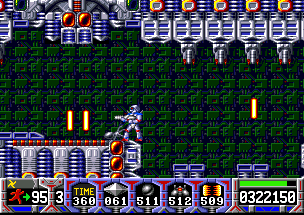 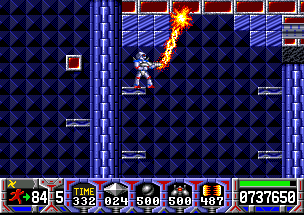 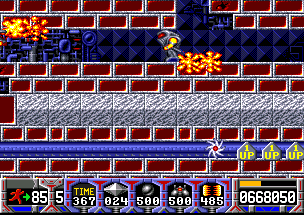 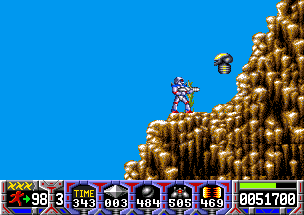 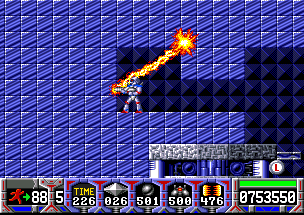 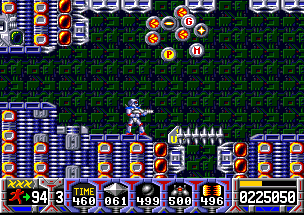 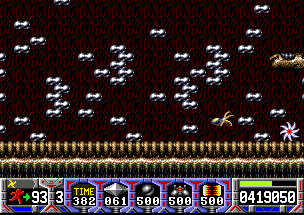 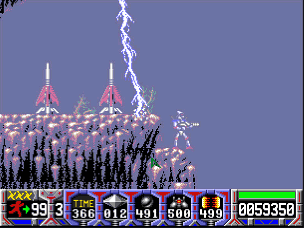 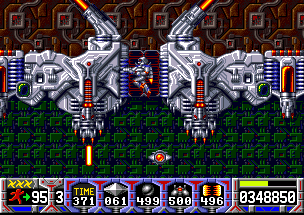 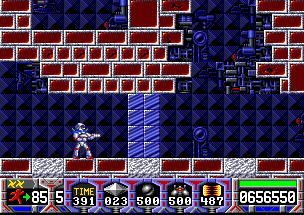 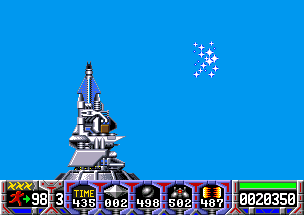 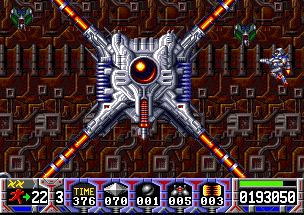 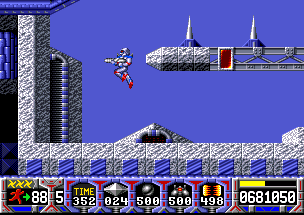 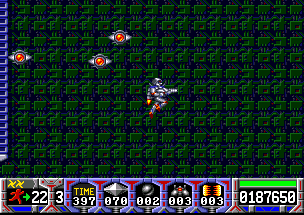 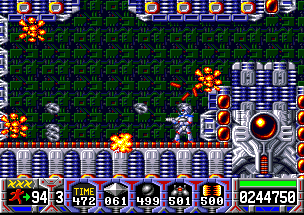 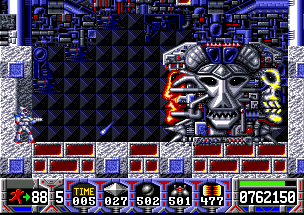 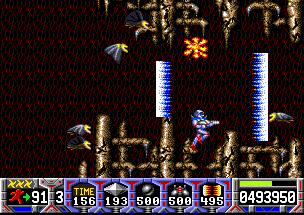 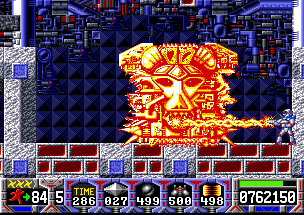 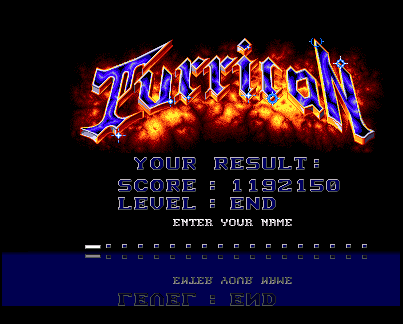 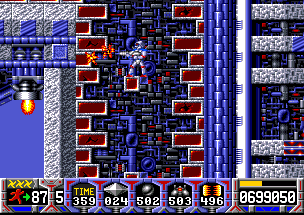 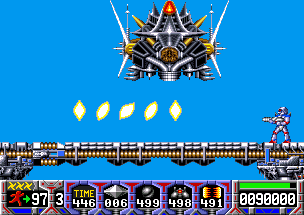 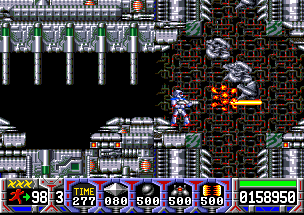 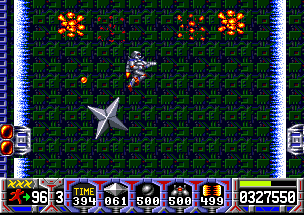 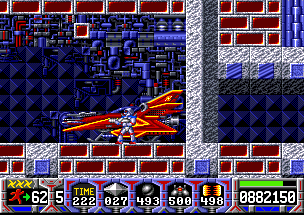 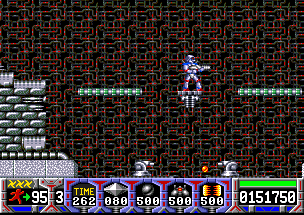 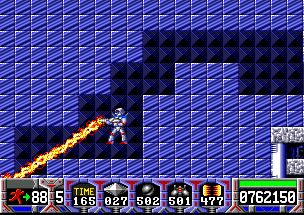 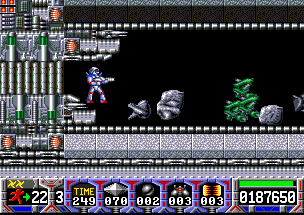 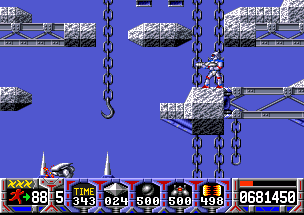 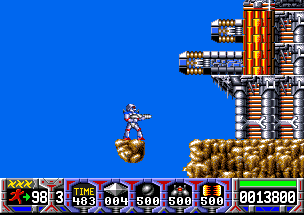 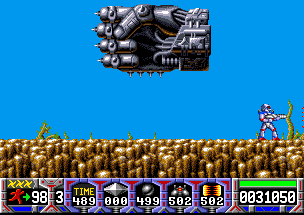 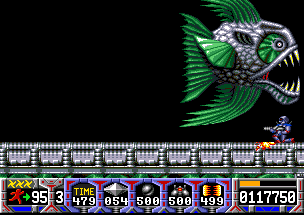 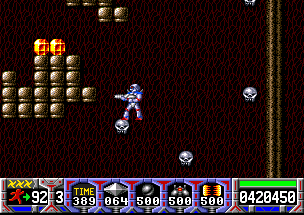 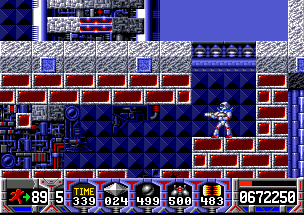 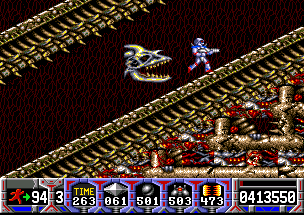 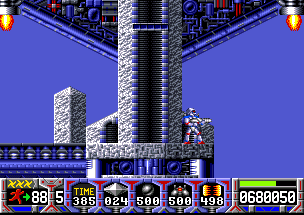 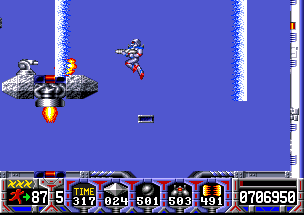 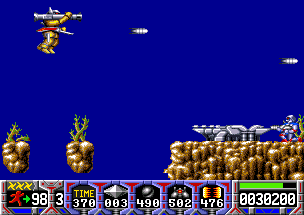 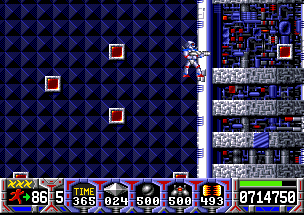 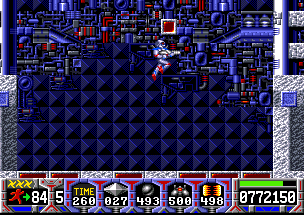 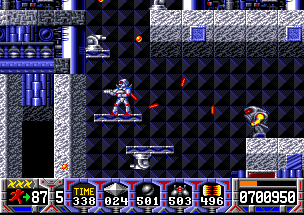 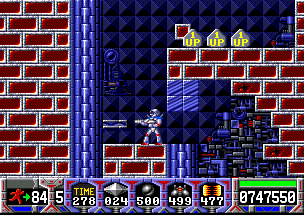 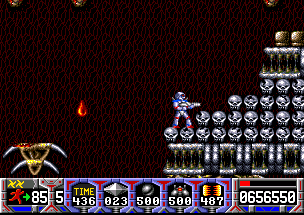 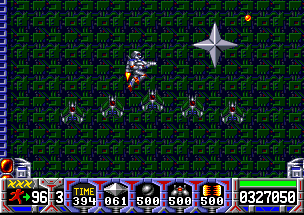 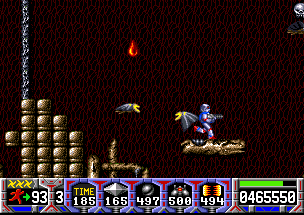 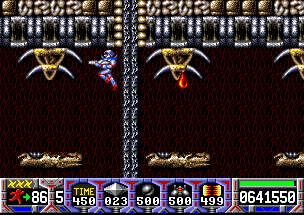 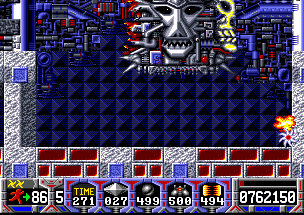 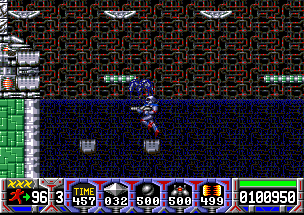 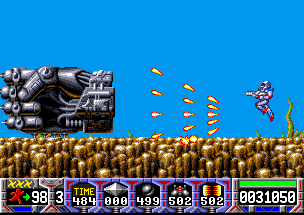 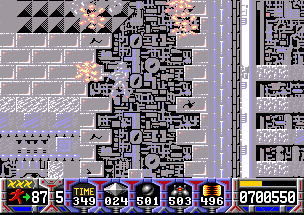 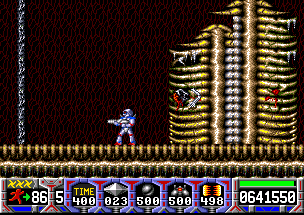 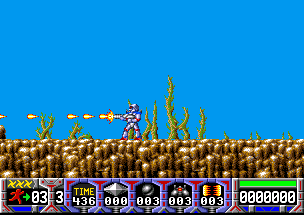 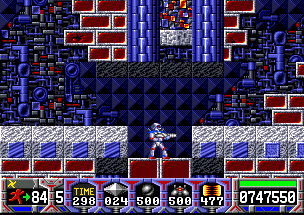 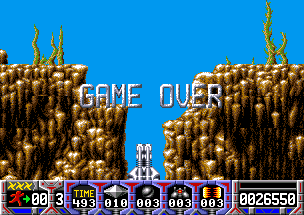 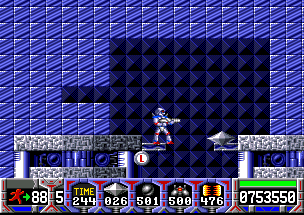 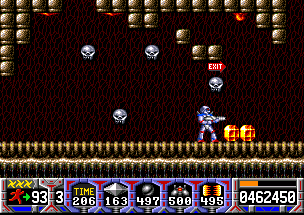 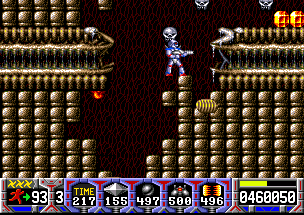 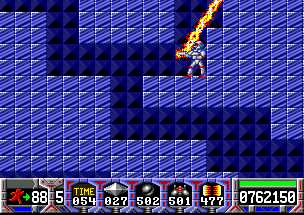 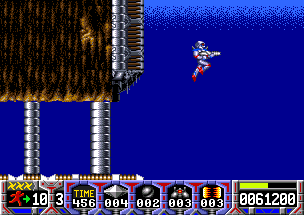 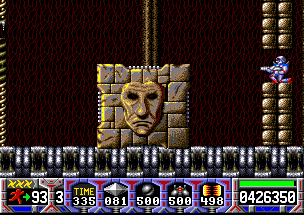 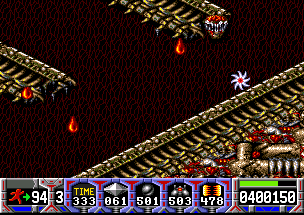 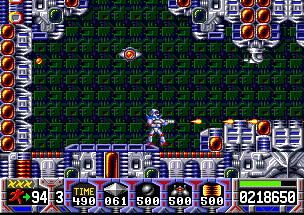 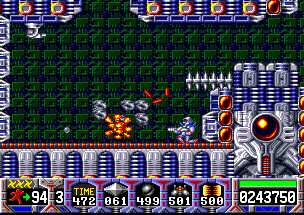 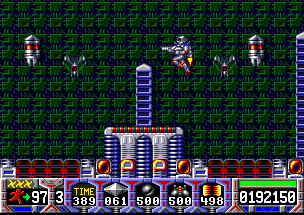 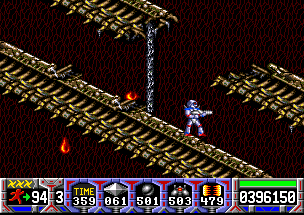 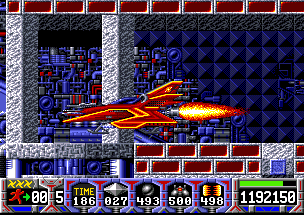 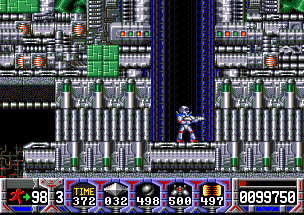 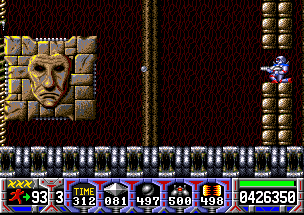 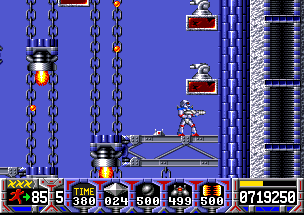 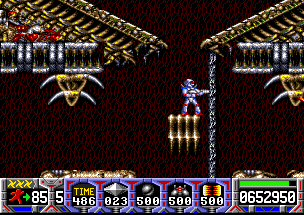 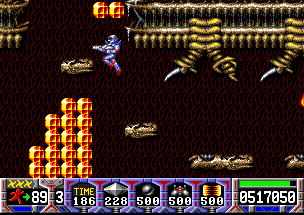 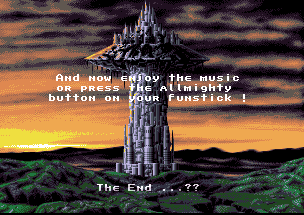 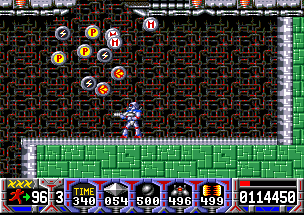 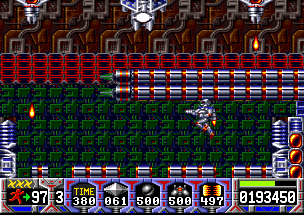 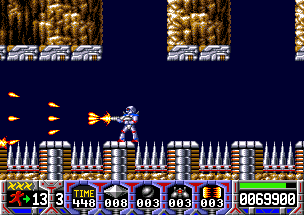 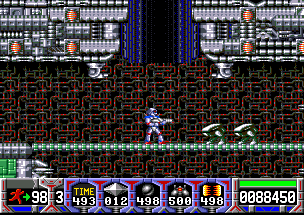 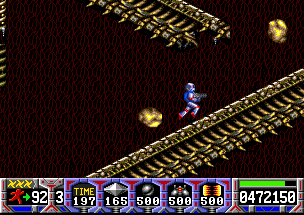 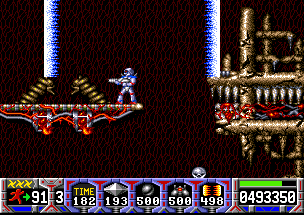 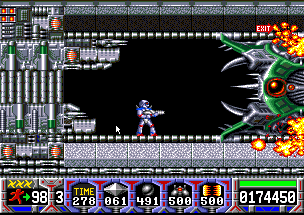 And on the third one, the background-graphics and floor are not in the final game at all. 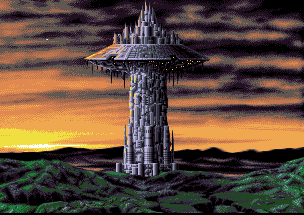 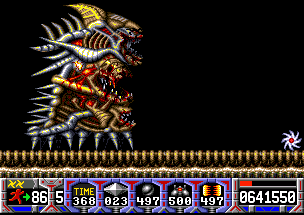 Just like Morgul, the Alien Boss has 3 heads. 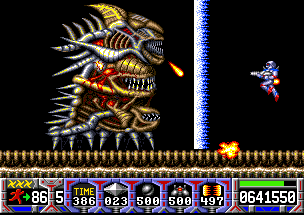 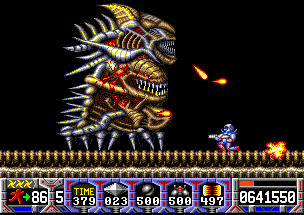 Compare him to it to the Level 6 end-monster of Enforcer! 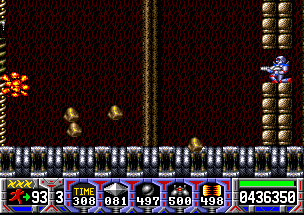 Cheat: Enter 'BLUESMOBIL' in the highscore for 99 lives and (nearly) unlimited extra-weapons.